I first learned about the Give Grace campaign after I took a calligraphy class with Scarlet & Gold, and started following them on Instagram. The campaign began after the owner, Megan Smalley, shared her story of infertility and failed IVF attempts. To help Megan and other families who have faced this issue, Scarlet & Gold has created a line of beautiful prints and gold temporary tattoos to raise money and start a conversation about this cause. As someone who has dealt with my own health issues, I know all too well how alone one can feel when going through personal tragedy. It’s easy to become withdrawn and isolated from friends, perceiving those who don’t say or act a certain way as not being compassionate. Megan’s courage in sharing her story should serve as a reminder to give grace for what you have in your life and for those around you. After my thyroid cancer diagnosis I realized the importance of having my health, something I previously took for granted. Today, when I think about the word grace, it conjures up images of strength, resilience, and mercy. To give grace is the ultimate form of selflessness. It is an act of expression to show others in their time of need that you are thinking about them. Megan’s story is inspiring. I urge you to read it in its entirety on Scarlet & Gold’s site and follow them on Instagram. 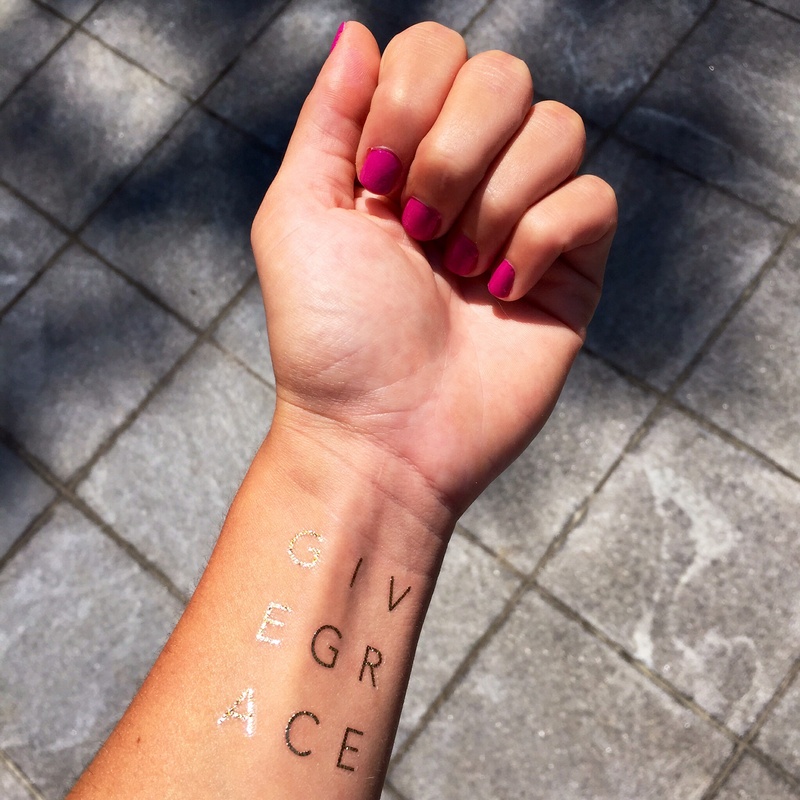 Support their mission by purchasing a print from their shop, sharing what #GiveGrace means to you, or sporting a flash tattoo! Great Blog and lovely pictures. Thanks for visiting, Johanna! Hope you’ll stop over again. you are the cutest! i just love this!